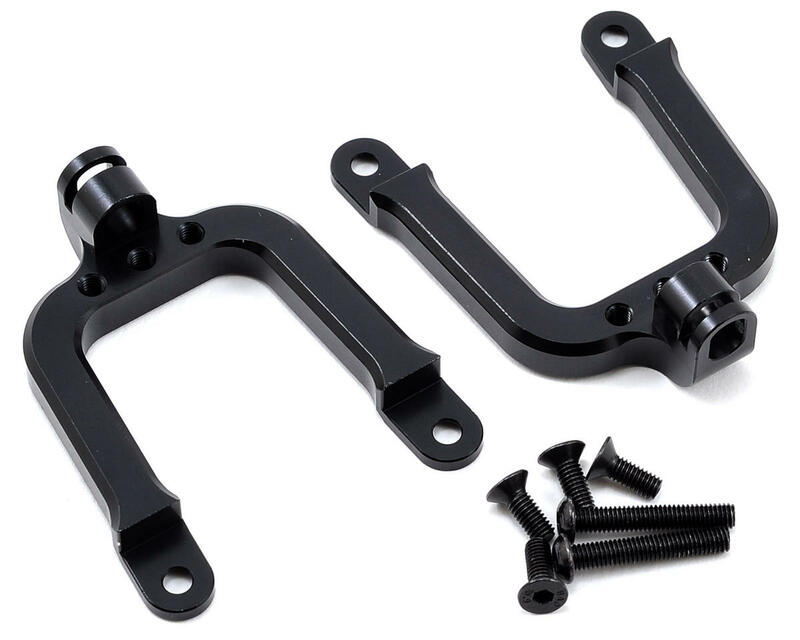 This is an optional ST Racing Concepts SCX10 CNC Machined Aluminum Rear Shock Tower Set. Add great looks and increase durability for your SCX10 with STRC's CNC Machined Aluminum Rear Shock Towers. 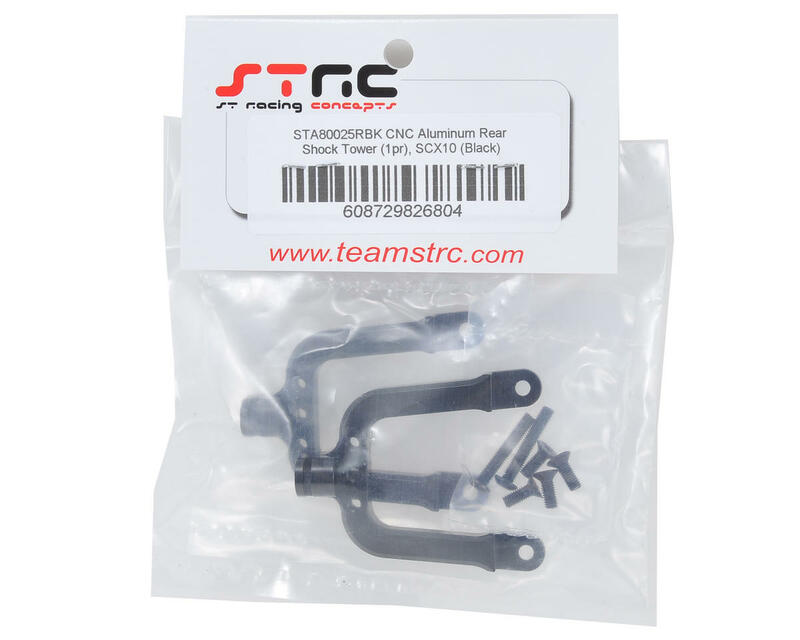 While other manufactures have used casting manufacturing methods, covered up with powder style finishes, STRC has remained true to their roots using CNC machining methods to manufacture their components. This delivers a clean, precision finish and brilliant anodized color options. Package includes two shock towers and assembly hardware.